Historical – A large selection of historical South Carolina maps. 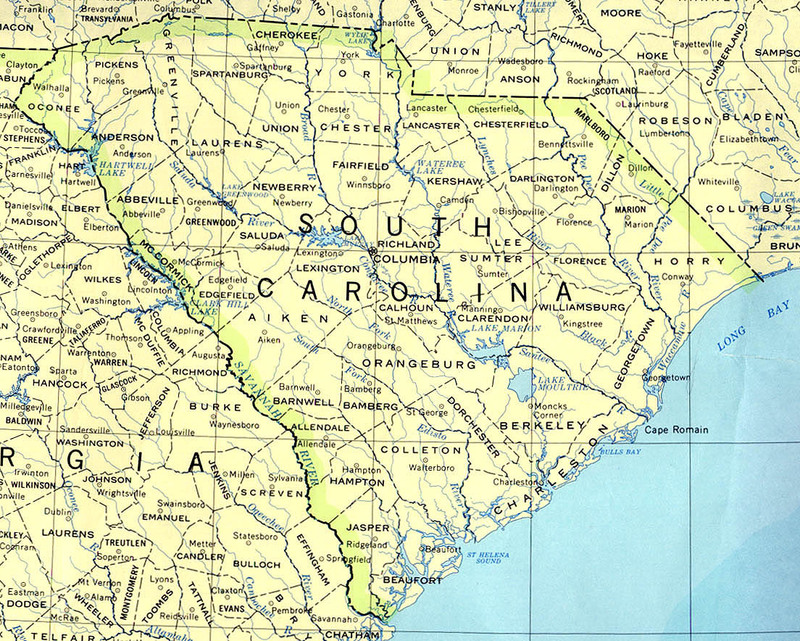 Historical – Another source of historical South Carolina maps. Roads A good source for South Carolina road maps online. Trail Maps – Click on a county to see the trails in that particular county. Blank Outline Map – A printer-friendly document. Roads – You can zoom in and print your own maps at a large scale. Shaded Relief – Can be printed at two different zoom levels (click on the map to zoom). Folded, Free – A free highway map can be requested from this site. Rand McNally South Carolina Travel Map – A laminated, tear-proof folding highway map. South Carolina Wall Map – A beautiful shaded relief map available in plain paper or laminated. For a large selection of other South Carolina maps, click here. Spaniards explored the South Carolina coast as early as 1514. The Spanish built Fort San Felipe on Parris Island in 1566 and made a new settlement there. South Carolina became a royal province in 1719 and the eight state in 1788. South Carolina was once mostly agricultural – today it has many large textile and other mills that produce much more revenue than its farms. Steel products, asbestos, chemicals, pulp, machinery, and apparel are made in Charleston. Top agricultural products are cattle, broilers and turkeys, watermelons, nursery and greenhouse products, and peanuts. The state ranks high in tobacco and peach crops. The only commercial tea plantation in America is in South Carolina on Wadmalaw Island. Attractions include Cowpens National Battlefield and the Hilton Head resorts. Other tourist destinations are the Riverbanks Zoo and Botanical Garden in Columbia, Fort Sumter National Monument, Fort Johnson, Fort Moultrie, and aircraft carrier USS Yorktown in Charleston Harbor. 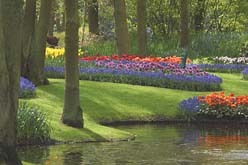 The Magnolia, Middleton, and Cypress Gardens in Charleston also draws crowds. Johnston is known as the Peach Capital of the World and the state has a water tower shaped like a peach. South Carolina is the nation’s leading peach producer east of the Mississippi River and also has the largest Gingko farm in the world. The first battle of the Civil War took place at Fort Sumter. At 411 feet, Upper Whitewater Falls is the highest cascade in eastern America.